Thrift stores are pretty amazing places. They are full of the unwanted, but at some point, they were wanted enough to be kept, but not used. Sometimes for many many many years until, one day for some reason, they were finally let go in the hopes that someone else may want to continue the cycle of keeping. There are a lot of us out there who are thankful for this tradition, because without it, we wouldn't have all the beautiful, wicked, and fully inspiring artifacts of the past to enrich our lives, just a bit. But when I find the perishable kinds of things, like plastic bags full of vintage wrapping paper from the 60's - it's like I've hit a little goldmine of nostalgia. I have to bring it home, but not to keep. Photographs of these kinds of things allow us to enjoy the patterns and continue to be inspired by them. Then, it's time to share the intrigue with others who might appreciate it! Vintage wrapping paper is thicker, and often textured slightly, very similar to origami paper. 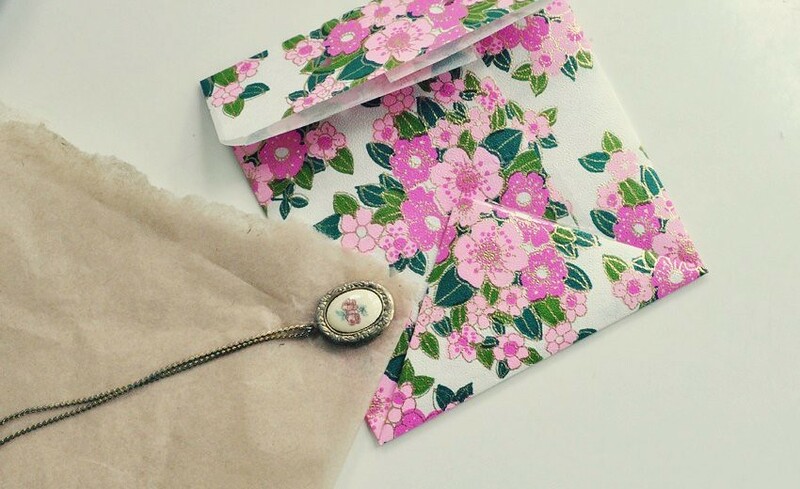 Wrap a gift, or ship off the goods from your online shop in a pretty package made of this lovely slice of the past. Fold your envelope, stick with a bit of tape. Use a corner rounder or pinking sheers to give the flap a decorative edge. 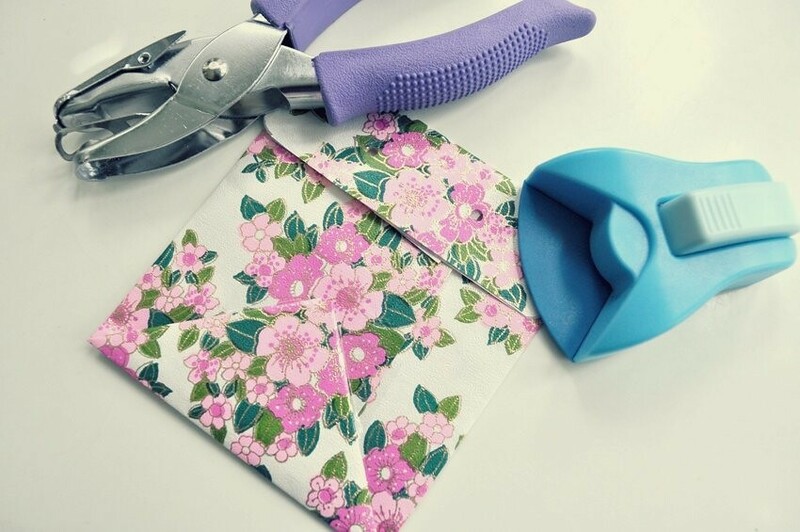 Use your hole punch to make two holes, all the way through the folded over flap. 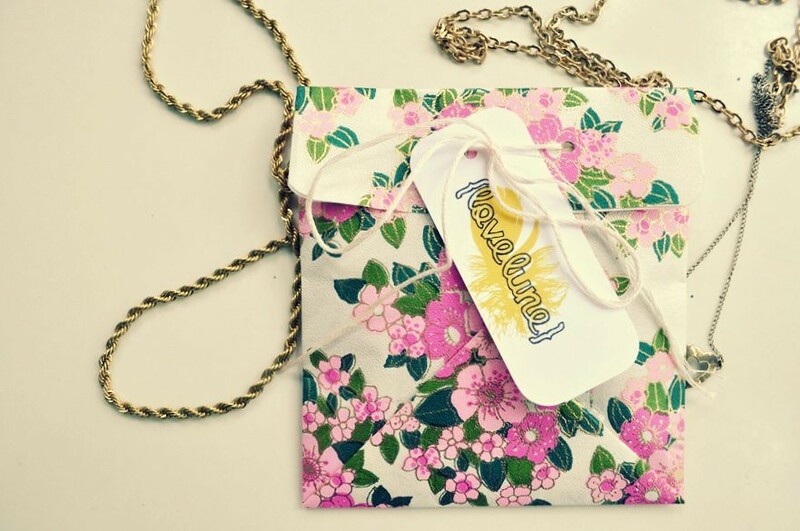 Wrap your item in a bit of tissue for padding. This is an antique locket from the $10 necklace sale over at our etsy shop! Tie the flap closed with a bit of string or embroidery floss, and thread through a note or tag before making the bow. This is a great way to add some extra personality to a gift, or show your appreciation for your customers. You may feel sad about using your lovely stash of vintage papers, but feel great about how many people you can share the love with!